YES, SLEAZE ROXX COVERS PRETTY MUCH ANY HAIR METAL BAND AND SLEAZE ROCK GROUP FROM THE ’80S SUCH AS DOKKEN, MÖTLEY CRÜE, RATT, VAN HALEN, WARRANT, ETC. 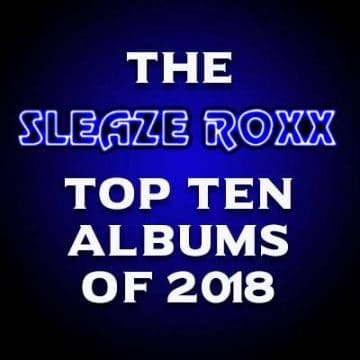 HOWEVER, I HAVE ALWAYS CONSIDERED THAT AT THE HEART OF SLEAZE ROXX ARE THE DOWN AND DIRTY SLEAZY ROCK BANDS THAT DON’T BENEFIT FROM ANY RECORD LABEL BUT HAVE RELEASED SOME OF THE BEST MUSIC OF THE LAST 26 YEARS OR SO. SNEW ARE AMONG THOSE GROUPS. WITH THREE ALBUMS — ‘SNEW YOU’, ‘WE DO WHAT WE WANT’ AND ‘WHAT’S IT TO YA?’ — UNDER THEIR BELT, SNEW CHAMPION THE SLEAZY HARD ROCKING MUSIC THAT SLEAZE ROXX LOVES. 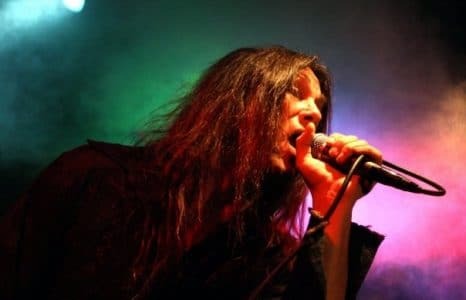 SLEAZE ROXX CAUGHT UP WITH SNEW’S FRONTMAN CURTIS DON VITO TO FIND OUT MORE ABOUT THE BAND HE STARTED MORE THAN TEN YEARS AGO AND SNEW’S NEXT STUDIO ALBUM. 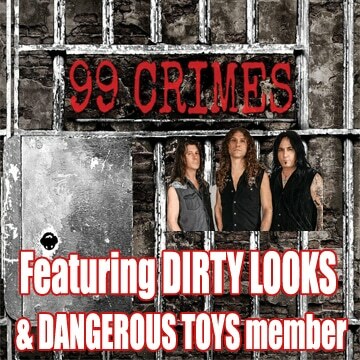 Sleaze Roxx: Snew have to be the world’s best kept secret. 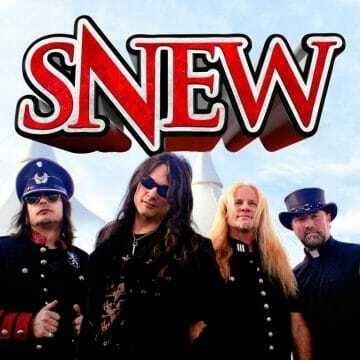 One listen to Snew’s new song “Who The Hell AreYou?” and I am thinking why aren’t these guys a household name? So I am curious about the band’s history which I know includes three albums already. How did you guys get started and what are your thoughts on Snew being the world’s best kept secret [laughs]? Curtis Don Vito: Andy [lead guitarist] and I met in late 2005 through a friend who thought we’d be a perfect musical match. He was absolutely right. The first night we met, we wrote “Stand Up High” which is the first cut on the first Snew album ‘Snew You.’ We’ve been writing together ever since and the chemistry just works. World’s best kept secret? We’ve heard that many times over the years. A secret’s only a secret if nobody tells. So I guess the cat’s out of the bag. We have fans all over the world but I suppose since we are not in the mainstream, it does feel like only a handful of people know about us. We’ve never campaigned for a major label and we’ve never been approached by one. We’ve always been “do it yourself” and we like it. Could we use some extra help? Sure, but we ain’t gonna sell our souls for the privilege. We’ve had the pleasure of working with some big names in the industry as far as recording goes but never on the business side. I think we just don’t fit in with the whole illuminati corporate model. All of our songs are about being free, being yourself and doing what you want. I don’t think they like that idea. The world seems to be going through a waking up process right now. We’re seeing a backlash against the corporate structure. Our recent release of the two videos “Who The Hell Are You” and “Release The Beast” are in response to that. We’re not [emphasis added] a political band by any stretch. Our music is meant to give you a break from all the stress. If we can make you forget your troubles for three and a half minutes, we’ve done our job. When you ask the question “Who the hell are you?”, we hope you’ll look in the mirror. Once you have your answer, release the beast! Who The Hell Are You lyric video. Get SNEWED at: http://facebook.com/SNEW.official http://snewyou.com http://twitter.com/snew Lyrics: “WHO THE HELL ARE YOU” WHO’S GOT MY BACK? EVERYTHING GONE FADE AWAY WHO’S MY WITNESS? EVERY TIME I PRAY CAN YA ANSWER THIS? WHO I GOTTA SAVE? CAN YOU HEAR ME? Sleaze Roxx: I understand that Snew will be releasing a new album in 2017. Can you provide more details including how many songs, what’s the status and how it will differ from the last album ‘What’s It To Ya’? Curtis Don Vito: We hope to go into pre-production for the new album in early ’17. We have about five songs demoed right now, another six or seven ready, and a bunch of rough ideas brewing. So far all of our albums have had ten songs on them. We’ll probably stick with that number. We’ll see. We haven’t gotten into recording yet so it’s hard to say how this one will differ as a whole. I will say that we are planning to go a bit heavier sonically — more overdriven, bigger and dirtier. We’re not changing our style. Snew will always be Snew but we won’t just be rehashing old territory. We still have a lot to say. We don’t want to just repeat ourselves. Sleaze Roxx: When exactly in 2017 will the new album be released? Curtis Don Vito: Summer? We finance everything ourselves so it all depends on what we can do with what we have to do it with. 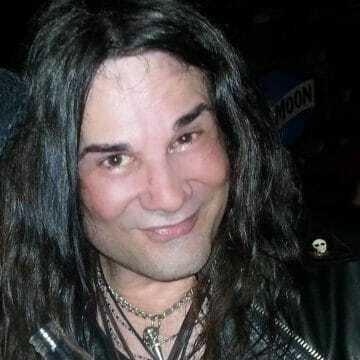 Sleaze Roxx: You and [guitarist] Andy [Lux] have been together seemingly since the very start. Why aren’t bassist Cat Tate and drummer Mark Ohrenberger in the band anymore? Curtis Don Vito: Actually, we’ve been jamming with those guys lately. We are going to do a couple of local shows with them. We’ll see where it goes from there. Sleaze Roxx: Bassist Willie Basse is not listed on your Facebook site and neither are former Warrior bassist Kelly Magee and ex-Rhino Bucket drummer Jackie Enx who played on “The Juice Of Power” single that was released last year.Your Facebook site lists only you, Andy and rhythm guitarist Lenny Spickle as the members of the band. Who’s the bassist and drummer for the new album? Curtis Don Vito: Willie was in the band for about a year. Willie has his solo career and was never going to be a permanent member. When we parted ways with Cat, we needed someone to play bass on the ‘What’s It To Ya’ album. I’ve known Wil for years so he was my first call. After we finished the record, he was so into it we mounted a tour and also played Rocklahoma with him. It was a blast. It lasted as long as it was supposed to. After that we brought in Lenny Spickle [formerly of Eden] initially to play bass but moved him over to rhythm guitar after we found Kelly Magee since Len is primarily a guitar player. Kelly played bass for us for two years. He recently had to bow out for personal reasons. Last year, we took some time apart from Mark our original drummer. It was for personal reasons but that might be cleared up now. Kelly knew Jackie so we set up some jam sessions and it sounded so great we went into the studio to record “The Juice of Power” which was originally intended for the next album but with all the delays, we thought it was best to put it out there as a single before any more time passed. The Juice of Power from SNEW. This new edit features elements of truth. The juice is yours, drink up. Sleaze Roxx: My predecessor Skid seemingly ranked the first Snew album as his favorite out of the three that you released. What are your thoughts on each album and if you have to rank them, where would they end up for you? Curtis Don Vito: You want me to rank my own albums? Oh man. That’s cruel but if you insist. Number one would be ‘We Do What We Want.’ We solidified ourselves as a band and a creative entity at that point. We were riding high off the amazingly positive responses we got from the first album. Skid gave us a big boost on that one. It was our first time in a major studio with a Grammy winner engineering [Ed Cherney]. I love the sound of that record plus the title is the ultimate Snew statement. Number two has to be the first album ‘Snew You.’ It’s so raw. We were so excited. We didn’t know what to expect so we just went for it. We had just begun our relationship with producer Bobby Owsinski who believed in us so much he’s been our producer ever since. Then when we put it out and so many people like Sleaze Roxx gave us the thumbs up, we felt like we really did something worthy. Number three would be ‘What’s It To Ya.’ Let me be perfectly clear. This ranking has nothing to do with how good I think these records are. They are all equal in my book. This is mostly from an emotional and experiential point of view. But let me say, ‘What’s It To Ya’ was a huge moment for us. We got to work with Ken Scott who produced a who’s who of classic rock artists and some of the most important and influential rock albums of all time. Ken further taught us what being a recording artist really means. Some of our best songwriting is on that record. At this point, we were a band with a catalog. You have no idea how meaningful that is to a band. All in all I’m equally proud of each album. Sleaze Roxx: It has been more than four years since the last Snew album ‘What’s It To Ya.’ Why has so much time passed since the release of the last album? Curtis Don Vito: Primarily because we’ve had to finance all of the records ourselves. It’s not because we didn’t want to or for lack of song ideas. Our plan has always been to release a new record every two years. We intended to put one out in 2014 but all we could manage was the single “Thunderdog.” Then we hoped to shoot for a 2016 release but when it looked like that wouldn’t happen we put out “The Juice of Power” which was technically released in 2015 but it was at Christmas so almost 2016. We just got too anxious and said what the hell let’s put it out for Xmas. Everything looks like a go for the new year but we’ll just have to wait and see. SNEW song from 2014 “Thunderdog” is an ultra high energy mega rocker about roaring down the road cranking the speakers til they bark like a dog. Download on iTunes: https://itunes.apple.com/us/album/thunderdog/id878625006?i=878625013 The track was recorded at the band’s new Snewdio Recording Studio in Los Angeles. Produced by Bobby Owsinski. Sleaze Roxx: I understand that you are the video guru behind all the Snew videos? What prompts you to work and release the videos? Curtis Don Vito: When I was a kid, I used to draw and paint and all that stuff. I’m an artist at heart. It didn’t start singing until after I graduated from high school. Visual arts were my first love. Music quickly eclipsed that as my main overriding passion but I still have a driving need to produced visual art. I do all of our graphics work. 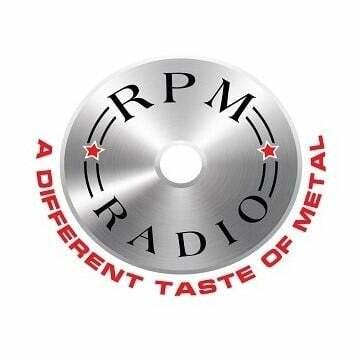 The album art and things you see on our website and elsewhere. But let me tell you, I love [emphasis added] making videos. There are a ton of them on our YouTube channel. We have serious stuff, funny, weird and artsy stuff up there. I don’t like to stick with one vibe. With a name like Snew, you can cover lots of ground. I don’t think people realize just how much video content we have. We have our music vids for the songs but we also have things like the “Snew Film Festival” series in which I dub in famous lines from well known movies into footage of me and the guys so it looks like we are acting out the scenes. It’s hilarious. I invite everyone to guess which movies they’re from in the comments section. I created a bunch I call the “Snew Space Program” which is trippy and “Snew Mash Ups” which take bloopers and found footage and mash them up with our songs. Then there’s “Live from the Snewdio” which is ten episodes of us jamming at our studio with different guests. It’s like our version of Saturday Night Live or something. LIVE from the SNEWDIO episode one : “Vinyl Snausages” SNEW is joind by special guests Bobby Owsinski and Paul Ill as they perform the songs I Got A Rocket and the song (I Know) I’m Losing You as recorded by the Temptations and also Rod Stewart. I don’t know man. I just can’t help myself. I gotta create. I put out nine new videos in the past month and I guarantee you more will be going up soon. Sleaze Roxx: Any gig plans for Snew in the coming six months? Curtis Don Vito: We have a few local shows booked right now. One is for my birthday on Dec. 10th in Huntington Beach, California. That’s going to be a blast. It’ll be the first show with all original members together on stage in over five years. Our first priority is to work on the next album but we will be doing lots of gigging in 2017. Sleaze Roxx: Has Snew ever played outside the States and will you ever come to Canada to play — and specifically Toronto? Curtis Don Vito: Oh man, we want to so bad. We’ve played all over the US but so far that’s it. We’ve been asked many times to play Canada, Europe and elsewhere but this is one thing we can’t do completely on our own dime. If we can get someone to cover our travel expenses, we’ll be on the next flight. Come on Toronto, you need a good Snewing! 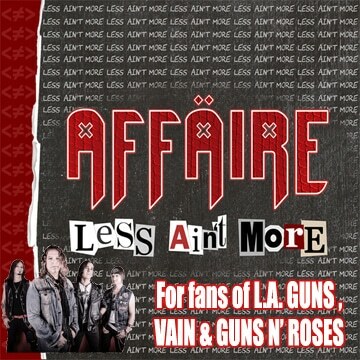 Sleaze Roxx: Yes, we really do [laughs]. Is there anything that we have not covered that you’d like to mention? Curtis Don Vito: Support independent rock music. The mainstream media would have you believe rock is dead. Hah! Everybody reading this knows that ain’t true. With everything that’s happening in the world right now, rock music is the soundtrack that will change our lives. Shed light on all your favorite “do it yourself” rock artists. Together, we have ‘The Juice of Power.’ Nobody’s gonna stop us. Message or email me. I want to hear from all of you. Curtis Don Vito: We covered that already [laughs].